When talking about marine markets there are three major areas: merchant fleets, Marine Naval Forces, and cruise lines. It's important to note that this large industry uses on-site oil analysis at all times to ensure equipment uptime. Ninety percent of global trade is by sea, with about 70,000 vessels transporting goods around the world. All countries with Naval forces use them to project power and influence. Reliability is critical, so on board oil analysis is widely used. The cruise line entertainment industry is a fast growing segment of the marine market with high profitability, so reliability is critical for success. In any marine application there's a prime mover, which is the main engine, but there are other key lubricated assets on board as well. There are thruster hydraulics, backup generators for power, gear reducers, compressors for air -- essentially a floating power plant. Since there are so many different lubricated assets, there are a variety of different lubricants on board. 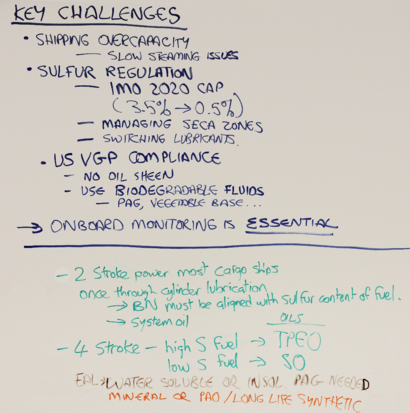 Engine designs, types of fuel, and types of fluids per regulatory compliance all complicate the monitoring task. As a result, monitoring should be performed on a regular basis. There are three major challenges when it comes to the marine market. The first is an overcapacity in shipping with more vessels out on the seas than goods in supply. Because of that, merchant lines are managing different approaches in order to reduce costs. Some of those approaches have a negative effect on the reliability of the equipment which is why on-site oil analysis is important, particularly when it comes to things like slow steaming issues. The second major issue is the new sulfur regulation that is coming in the near future. In 2020 all the fuels that are typically heavy fuel oils and high sulfur fuels, are changing from 3.5% down to 0.5%. As a result of that requirement, there will be some significant investments made to ensure compliance. There are also a lot of issues surrounding fuel quality assurance. There are already existing sulfur emission control areas around Europe, the US and certain areas in China. Ships now have to switch from high sulfur fuel to low sulfur fuel when they go into port. When that switch occurs it is also important to match the engine lubricant, especially on two-stroke engines, from a high base number to a low base number. Finally, there is the US VGP or Vessel General Permit compliance, issued in 2013 that states any vessel longer than 25 meters or 79 feet must have some compliance where any oils that come in contact with water have to biodegradable; the requirement for rotating equipment to have EAL, environmentally aware lubricants, or biodegradable lubricants is particularly stringent. These major issues affect the industry, and make it more complex than ever before. Today, on board monitoring is essential to navigate through these processes. 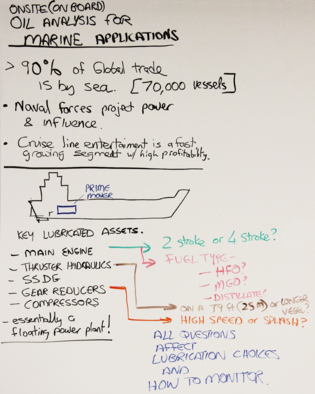 Two-stroke power is most common in cargo ships. These engines are usually built to have a long, reliable, life. They are quite easy to manage overall, but on the larger engines two-stroke have two different lubrication systems. There is a once- through cylinder lubrication system, where the compression occurs. The BN, or base number, of the oil is absolutely critical because it is the first response and is a neutralizer for those sulfuric acids generated when high sulfur fuel is burned. The second lubrication system is the system oil itself. The system oil is essentially separated from the cylinder area and is much like a traditional four-stroke engine oil application. There are four-stroke applications that run high sulfurous fuels. If that's the case, then a TPE or trunk piston engine oil is used, which has the right additive package to be able to manage those high sulfur fuels, or a regular four-stroke lower base number. With the industry switching from a high sulfur to a low sulfur option, everybody is going to be moving towards a more conventional system oil or TPE type of environment. In the case of the VGP permit requirements, these EAL or biodegradable fluids, are requiring switch out for many of the rotating equipment such as thrusters and hydraulic systems that come in contact with water. It is necessary to manage these water insoluble, or water soluble PAG's/ EAL style vegetable oil based lubricants that are present. They won't have the same life expectancy if they aren't managed carefully. In certain gearbox applications, the drive is to go towards higher synthetic, long-life applications. This is more expensive at the front end, but they can have a much longer life if they are monitored very carefully. Above is a chart of recommended tests that should be used for marine condition monitoring applications and should occur on a per month basis. The major engines discussed are two-stroke and four-stroke, and it's important to be able to separate them because there are distinct differences in requirements. In the case of the two-stroke engine, the major concern is the base number (BN) and viscosity. That is how the fluid gets to the right area of the cylinder and it is important to make sure that there's enough alkaline reserve there to neutralize any acids that are being produced. Base number in those ranges can be anywhere from 40 up to 200 base numbers, so it's a very high range. It is suggested to look at those on a continuous basis, both on the incoming lubricant, if it's coming right out of the bunker or if you have a blending on board system. When you have added system oil or waste engine oil as a package to bring up the base number, you want to monitor it before it sprays on the cylinders. Once it comes off the cylinders and it drips out on the residual drain, it is important to keep an eye on the base number. If it changes dramatically, that indicates the level of sulfurous fuels and the flow rates. Another test to check is the scrape down oil, essentially the residual material. The ferrous content should be checked because that's indicative of the amount of corrosive wear that's produced if the alkaline reserve is incorrect or if there is an incorrect range of treat rate to the cylinders. Ferrous density is important as it looks at the large debris that might be popped out of the cylinder wall if there is excessive wear. However, by itself it is not sufficient, and it is important to look at the corrosive wear. In those cases, we would recommend elemental spectroscopy, especially for the corrosive. The two results together will give total iron content. In the case of the system oil which is separate from the cylinder oil, the base number and ferrous density should be tested in order to look for any abnormal wear. Viscosity is at 40 to 100, (remember this is long life oil that's going to be kept in the system). Water content is critical in this situation, even though it can accommodate a lot of water. Elemental spectroscopy for elemental wear, contaminants, and additive packages is required. In the case of regular four-stroke engine oil, base number, ferrous density and viscosity are key tests that are very important. Water content, as well as elemental spectroscopy is also suggested. With the sulfur cap mentioned earlier, there are going to be more engines that are powered by natural gas, or LPG propane based ships. In those situations, there may be more of a requirement for total acid number,which is very similar to land-based natural gas compressors where TAN and TBN are required. In the case of rotating equipment, particularly thruster hydraulic situations, where there is mineral or EAL fluids, ferrous density, viscosity, and water content should be assessed. The EAL type fluids have a very high capability for water. In some cases there can be four, five, or six percent water, which is up to 60,000 ppm of water, and it's not a problem for the application because it is held in solution. It's necessary to be able to measure that and be able to control it. Total acid number is also important since it indicates the level of oxidation if there's any breakdown or hydrolysis occurring. Elemental spectroscopy is required to see if there's any wear additives and contaminants present. Particle count is important to determine the overall debris as well as how well the filters are doing. In the case of gear systems, the recommendations are to measure ferrous density, since it's a critical point for any large ferrous wear as well as viscosity because it's critical for lube film strength. Check water content and total acid number to look at the long life and oxidation issues. Elemental spectroscopy as well as particle count, particularly for pressurized gearboxes or transmission systems determines the filter efficiency. 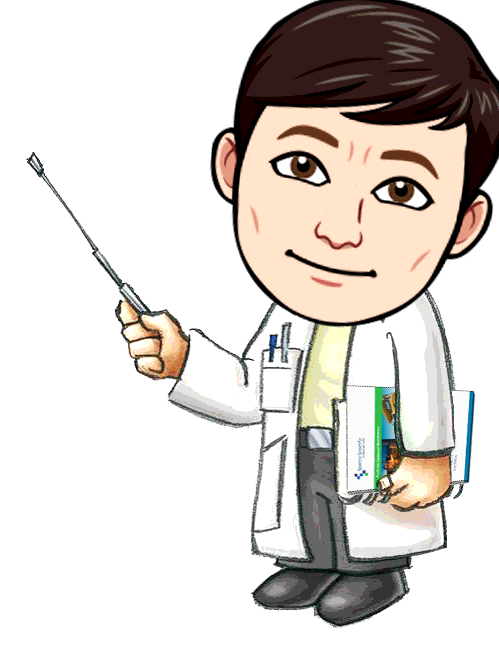 It's also important to see if there is shaped morphology, and one can look at the size in the shape of the material to indicate if there's any abnormal wear present. Compressor systems are very similar to gear systems, where it is important to test ferrous density, viscosity, water content, acid number, and elemental spectroscopy. Particle count is optional depending on the type of compressor. In all these situations for on board applications, we definitely recommend you investigate the MiniLab Series. 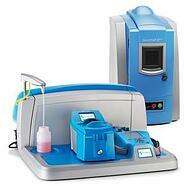 The MiniLab solution can be customized to match your specific needs and can run all of the above mentioned tests. We also recommend TruVu 360, which helps manage the data you analyze on board, and it can issue reports immediately. For the merchant fleet concerned with the sulfur cap situation, we suggest that you investigate something for fuel quality assurance, particularly when determining the sulfur content.